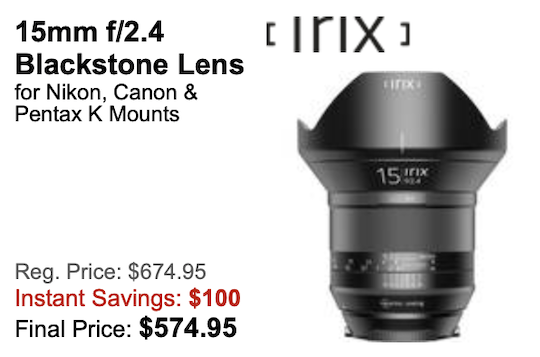 → IRIX 15mm f/2.4 Blackstone lens for Pentax now $100 off. 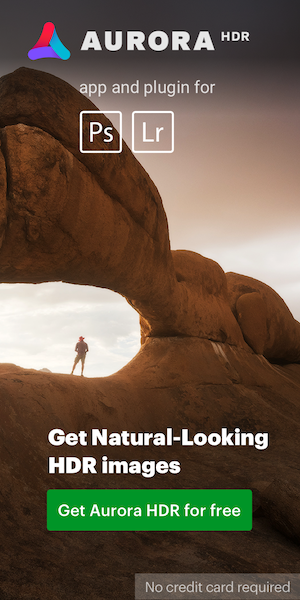 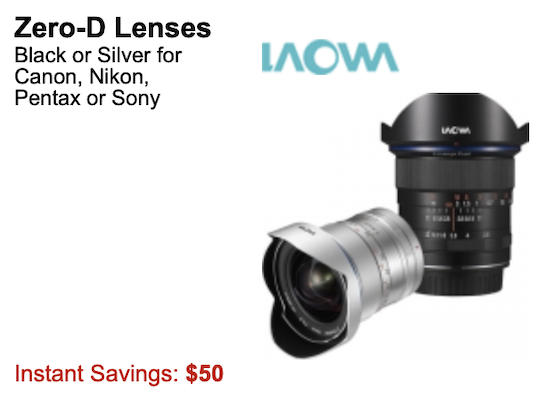 → Zero-D lenses for Pentax now $50 off. 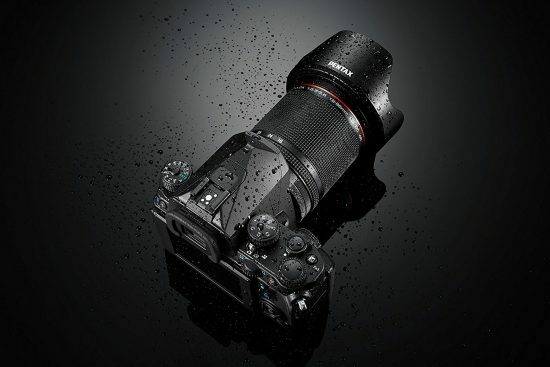 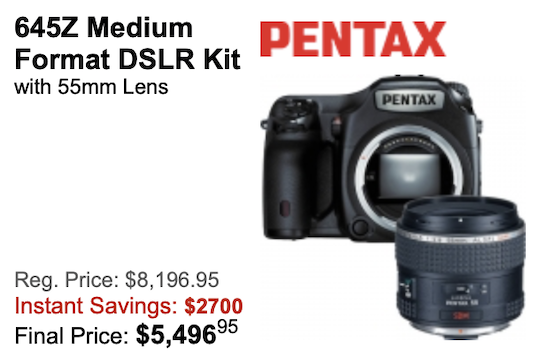 → Pentax 645Z with 55mm lens now $2,699.95 off. 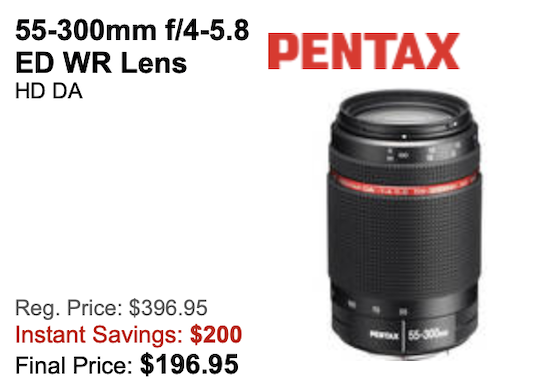 → Pentax HD Pentax-DA 55-300mm f/4-5.8 ED WR lens now $200 off. 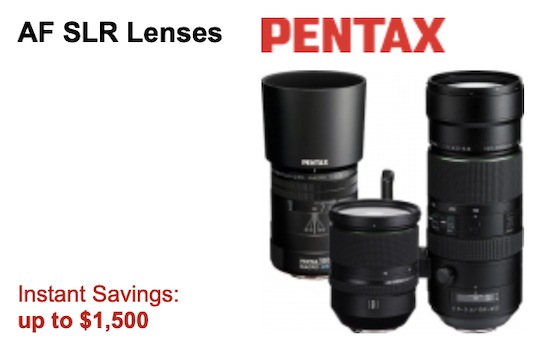 → More Pentax lens savings. 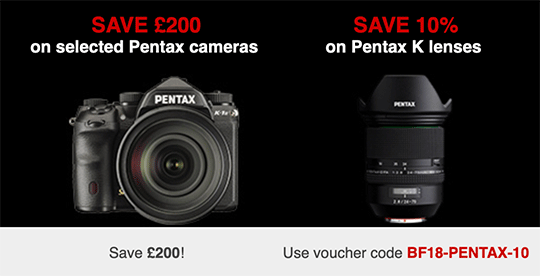 → Pentax KP DSLR camera now $400 off. 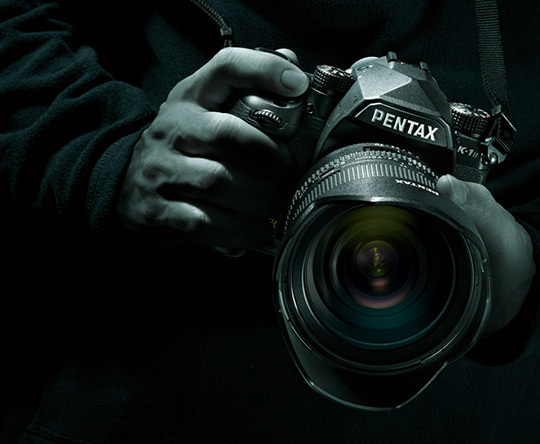 → Pentax K-1 Black Friday deal.